Tabata is an advanced form of interval training involving the completion of an intense 4-minute exercise routine. Yes, 4 minutes. Sounds ideal doesn't it? Don't stop reading yet. Named after its creator, Dr. Izumi Tabata, this training is an intense alternative to long cardiovascular sessions. The Tabata routine was developed at the National Institute of Sports Fitness in Japan. Dr. Tabata's research showed that low to moderate-intensity workouts have no effect on anaerobic capacity, which is the ability to use energy without using excessive oxygen. High intensity workouts done in intervals on the other hand, improves anaerobic capacity by 28 percent over a six-week period, according to RossTraining.com. The Tabata routine can include a variety of exercises. If you want better results, you should choose an exercise that benefits the whole body or all your major muscle groups. Tabata can be done with or without equipment, the type of exercise you use is up to you, however, it is not for beginners. To embark on Tabata, you must have a certain level of fitness and stamina, otherwise you may strain your heart or body. Even experienced exercisers should start slowly by training once a week until their body is accustom to the fast pace and high intensity. The typical recommendation is for one or two Tabata workouts per week with proper warm-ups. The Tabata method brings several benefits. Intense exercise raises our metabolic rate to about 15 times the basal metabolic rate (BMR), or the amount of energy the body burns when at rest. The Tabata routine puts intense but short amount of stress on the body and when done regularly over a period of time, the body increases the BMR. An increase in this rate means an increase in the fat that you burn when you are not doing much. The high-intensity workout places stress on the muscle tissue which tells the body that more muscle tissue is required, and choosing the right exercises that maximise workout of muscle mass, muscle tissue may increase and the ratio of your lean body mass to fat goes up. 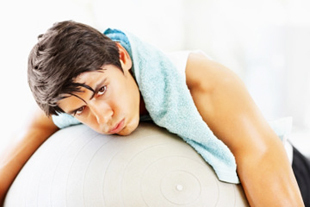 Dr. Tabata's method has shown that it can increase both the aerobic and anaerobic capacity, improving stamina. Aerobic capacity is the greatest amount of oxygen the body consumes during strenuous exercise. Anaerobic capacity is the maximum amount of energy that can be produced by the body in the absence of oxygen. This anaerobic energy is produced when there is not enough oxygen in the bloodstream to produce the required energy aerobically. Read more on Tabata fitness on Livestrong.com.